Have you ever admired someone’s smile and wondered how they manage to keep their teeth so white? 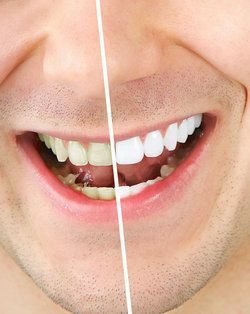 Maintaining a bright, white color on the teeth is actually pretty difficult. Even the most dedicated oral health care routine cannot guarantee that the teeth stay free of stains or discoloration. So, chances are, that person with the bright, pearly whites probably achieved that smile with professional teeth whitening. Cosmetic dentist Byron W. Wall helps patients enhance the appearance of their smile by offering cosmetic treatments such as teeth whitening. For our patients in Albuquerque, Zoom!® teeth whitening can brighten the color of the teeth by up to 10 shades in just a single appointment. Professional teeth whitening is the safest and most effective way to brighten the smile, but many patients wonder if they can fit a professional teeth whitening treatment into their busy schedules. Most likely, the answer is “yes.” Zoom!® teeth whitening actually takes just about an hour from start to finish and offers patients maximum teeth whitening results in just a single appointment. In fact, many of our patients can fit a Zoom!® teeth whitening treatment into their lunch break, making it one of the most convenient forms of teeth whitening as well. Zoom!® teeth whitening is a simple cosmetic procedure that combines light and chemical technology to significantly improve the color of the teeth without altering tooth structure in any way. Before treatment begins, Dr. Wall will place a shield that serves to protect the gums and soft tissues of the mouth from the Zoom!® whitening gel. By avoiding the gums and soft tissues, Dr. Wall ensures that patients will not experience any damage to these delicate tissues. The gel is then carefully applied to the teeth. Once the gel has been applied, the special Zoom!® light is placed over the teeth where it will activate the whitening power of the Zoom!® gel. The teeth are exposed to this light for approximately one hour. Afterwards, the gel is removed from the teeth and patients leave their dental appointment with teeth that are up to 10 shades whiter than when they arrived. Starting with a foundation of healthy teeth and gums, Dr. Byron W. Wall strives to help each patient achieve a radiant and beautiful smile. If you have cosmetic concerns such as tooth discoloration and would like to learn more about professional teeth whitening treatment, schedule an appointment with Dr. Wall at your earliest convenience. Dr. Wall can discuss cosmetic treatments that will help you achieve the kind of smile that you have always admired.